GameLoading: Rise of the Indies on the Playism Store | Bringing a different breed of indie game to the world. Explore the world behind indie games through this feature documentary about the international community of indie game creators and the change they are bringing to the game industry. This title is only sold as DRM-Free. GameLoading: Rise of the Indies explores the vibrant global community of indie game creators. These unique voices, of all backgrounds and nationalities, are disrupting the traditional game development industry, making personal, innovative experiences. In the spirit of movements like the French New Wave, the Punk scene and the Grunge scene, hundreds of indie auteurs are emerging and finding success with their own unique voices and artistic goals. GameLoading: Rise of the Indies captures this exciting moment in time. The film showcases a wide variety of indie developers behind some of the most important games of the past few years and takes a broad snapshot of this diverse, creative community on an international scale. Some of the developers featured include Davey Wreden (The Stanley Parable), Rami Ismail (Vlambeer), Christine Love (Analogue: A Hate Story), Zoe Quinn (Depression Quest) and many more. The film demystifies what goes into making a game and explores where this art form has come from and where it may be going. 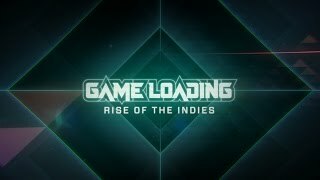 GameLoading: Rise of the Indies is a feature documentary exploring the world of indie game developers – their craft, their games, their dreams, and how they have forever changed the landscape of games culture. Disrupting the big-budget industry, indie games have altered the art form through their innovative, varied and personal games. Small teams of passionate and creative developers are offering an alternate voice to players. GameLoading captures this pivotal point in history, where video games have become more personal than ever before. What do you think about GameLoading: Rise of the Indies? StudioBento was formed by filmmakers Lester Francois and Anna Brady, who have years of experience working in film and TV. A love of film brought the couple together. Lester studied film at the Victorian College of the Arts, Anna studied fine art, specialising in film-making, and the two met at a film festival where they had both submitted rival film-noir shorts. The GameLoading journey began in 2012 when Lester tapped into the world of Australian indie developers while working on a Video Game review show for commercial TV. After discovering this new creative and cultural force swelling, he soon quit the show to investigate this new subculture.